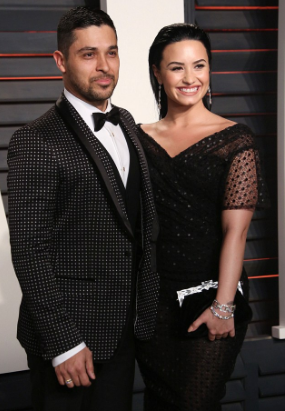 Los Angeles, CA, United States (4E) – After ending their years-long relationship weeks ago, Wilmer Valderrama and Demi Lovato are reportedly back together again and are making things work despite the many fans shipping the singer and Joe Jonas to give their romantic relationship a second go. They were last spotted together on May 22 at the Billboard Music Awards making the break-up announcement very sudden and shocking to most of their fans. Demi also shared back in February that she would love to be engaged to Valderrama. She also said during that time that there is a right moment for everything noting that they have been together for six long years and she does not plan to go anywhere. “Last night in San Diego. One more show left for the U.S. Tour! Los Angeles tomorrow!” In the snap, Jonas showed off his toned body and his chiseled biceps. Lovato then commented: "Excuse me sir, can you show me where the gun show is?" Many fans then commented saying that they should get married and have three children. Another set they should rekindle their past romance. Lovato, Valderrama, and Jonas are yet to comment on these reports.